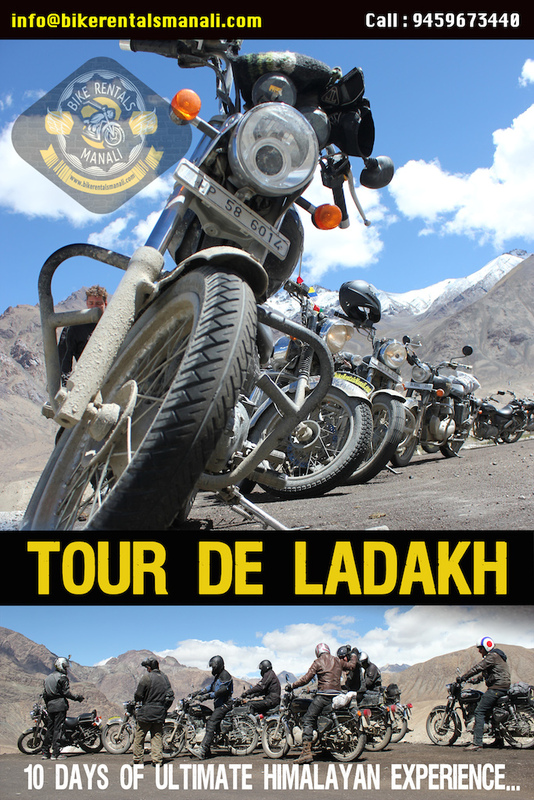 TOUR DE LADAKH IS BACK AGAIN !! If you are looking for an adventure beyond what you have ever undertaken, this is the tour for you. Tour De Ladakh combines the joys of riding the toughest terrains This tour is riveting as it is challenging. The locations offer sceneries bound to stay in your memories long after the tour is over. Over the duration of the tour you would experience riding in different landscapes, from high mountain passes on the world’s highest motor able road to some pristine lakes. We provide you all the logistical and technical support to undertake this journey and make sure that you have a ride to remember. Excellent Support Staff, knowledgeable and well equipped to assist with any challenges. New Royal Enfield 500cc Bikes. Ride to the top three highest motorable passes in the world. Awesome Views of Himalayas from your seat. Camping by Pangong Lake – The Highest Salt water lake in the world. Double Hump Camel Safari In Nubra Valley. Accommodation: 3 Campsites and Rest hotels. Hazard’s : General Traffic, A.M.S, Slush, Landslides, Rock Blasting, Crazy Truck Drivers. • Royal Enfield 500cc Bikes. • Support Vehicle with mechanic and helper. • Road Captain / Tour Leader. • Permits and entrée fee or Ladakh. All that’s not included above. Click here to download complete itinerary. TO RESERVE YOUR PLACE IN THIS TOUR, PLEASE BOOK THE TOUR 2 MONTHS PRIOR TO THE DEPARTURE DATES.